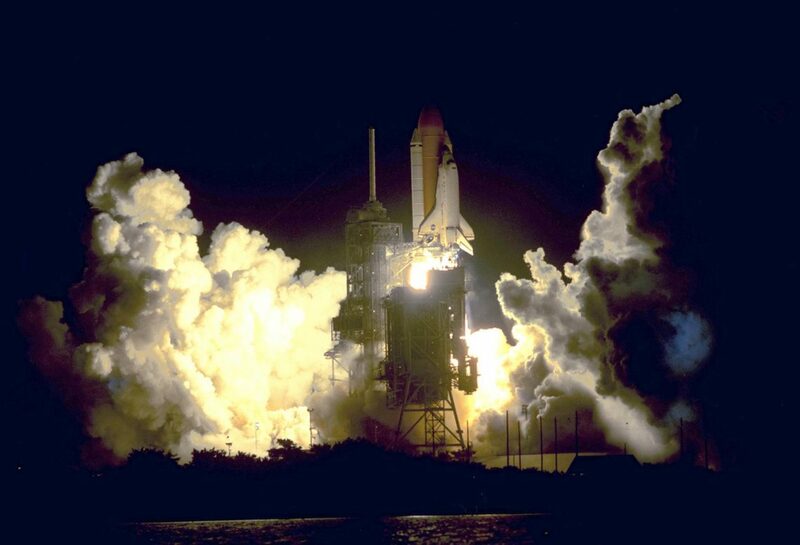 Human spaceflight can be thought of like an extended, deep-woods camping trip. It requires bringing your necessities (food, shelter, etc) and packing out all waste. Depending on the duration of the camping trip, sometimes all the supplies needed can’t be brought due to weight and volume constraints — think of water, and how a filtration system might be packed instead of two weeks’ worth of water bottles. NASA’s Moon to Mars initiative will include missions traveling farther from Earth than ever before and will need to rely on Earth-independent technologies, since Amazon Prime can’t two-day ship new equipment or extra food up there. The environmental control and life support systems (ECLSS) found on the International Space Station (ISS) that address all human metabolic needs are the current standards for long-duration spaceflight missions. Three different major pieces of equipment are used to provide breathable air to astronauts by scrubbing out CO2 and providing O2. While NASA has deemed this okay for Lower Earth Orbit (LEO) missions, they are interested in other ways to support humans in space for further missions. Recently, NASA has become interested again in using algae as a multi-functional approach to ECLSS. There are many examples of algae supporting terrestrial life, including providing a majority of the oxygen we breathe today while consuming CO2 found in the atmosphere. An algal culture also has the potential to provide nutritional supplementation through biomass production, convert human waste to clean greywater, and the water in which the algae grow could be used to control the cabin thermal environment and provide radiation shielding. Some of the benefits of using algae in space come from its ability to adapt to its environment. For example, as you increase the amount of CO2 provided to a culture, algae will passively crank up oxygen production. If you’re exercising heavily, you will be producing more CO­2 as you respire more, but then you will also consume additional oxygen. There is also the potential to save on mass, power, and volume allotted for ECLSS systems. If one volume of algae is able to address six different human metabolic functions, then not as many systems are required to be sent up. My Ph.D. work focuses on using algae for simultaneous air revitalization and thermal control. Currently, thermal controls on the ISS use a series of cool-water loops, or coils, embedded into the cabin walls. As water flows around the loop, it picks up heat and warms up. At a certain temperature, the now-warm water is flowed past a cold-contacting plate to radiate the heat out into space, allowing the newly-cooled water back into the cabin loops. Since space has already been allocated for these water loops, it was my idea to “fill” these loops with algae so that they could also provide air revitalization through photosynthesis. However, a major unknown is the response of algae to somewhat broad and rapid thermal swings. These changes in temperature can be very stressful to algal cultures, and much like sitting in a super A/C’d classroom while taking an exam, this stress can reduce the CO2/O2 exchange efficiency of the culture. I’m currently measuring the exchange rates of algae when they are thermally cycled as if they were in an ISS cooling loop. 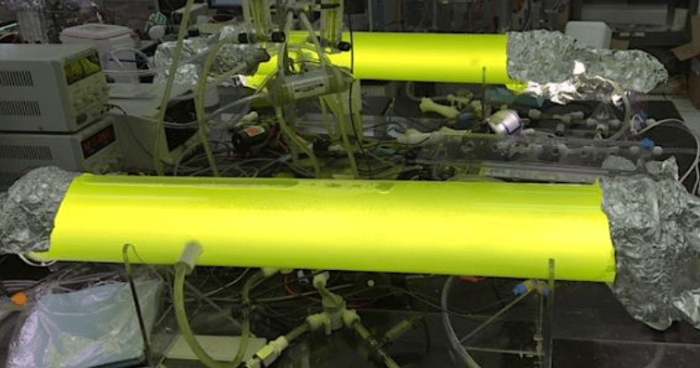 The results of these experiments will help determine how much algae would be needed if an engineer wanted to use one culture to provide simultaneous air revitalization and thermal control. Using a multi-functional system such as this proposed one could save on system launch mass, power, and volume, allowing those resources to be used for more science payloads or other necessary mission items. These findings are described in the article entitled Failure modes, causes, and effects of algal photobioreactors used to control a spacecraft environment, recently published in the journal Life Sciences in Space Research. 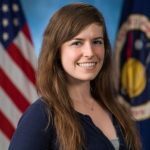 Emily Matula is a NASA Space Technology Research Fellow and Ph.D. candidate at the University of Colorado Boulder.